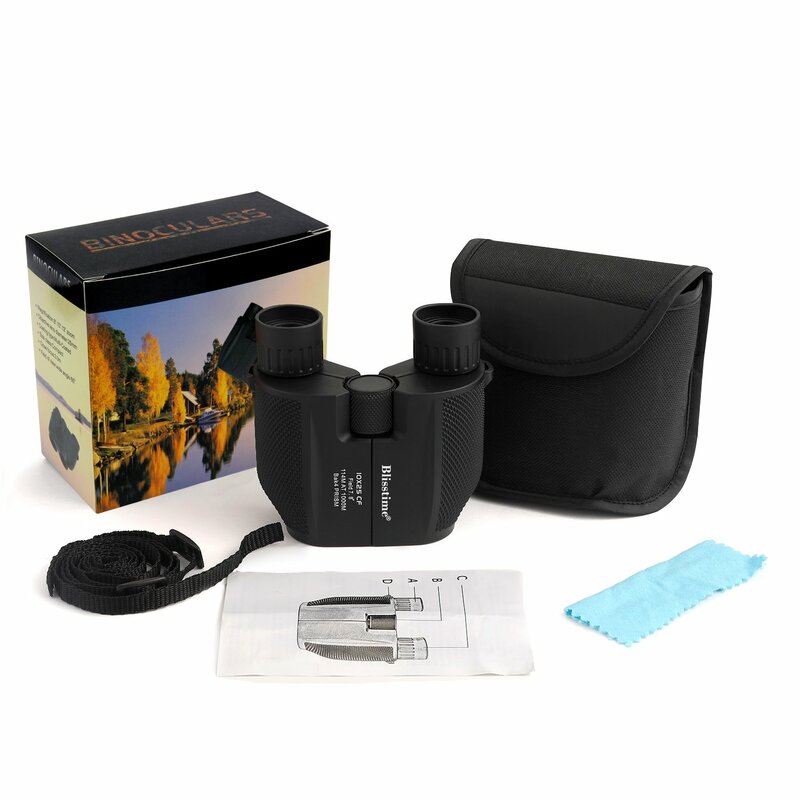 1.HIGH POWERED Telescope - 10x Magnification and 42mm objective diameter allows that you see objects 10X clarity. 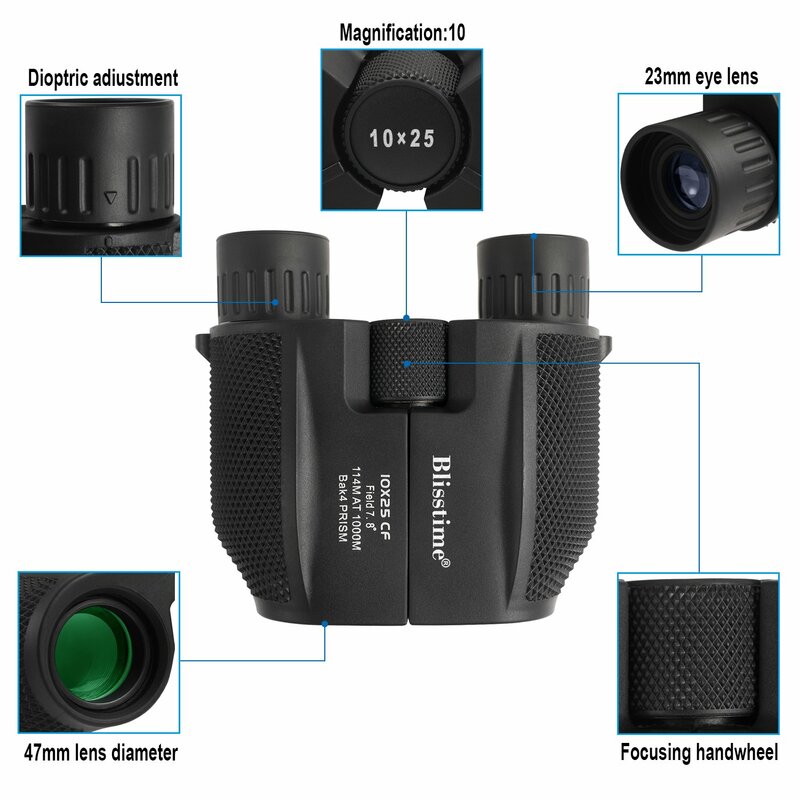 Provide a wide field of view and allows user to capture the subject easily. 3. PORTABLE - Lightweight , coming with a portable bag and a neck strap in the package, very convenient and easy to carry, ideal for both adults and kids. 4. 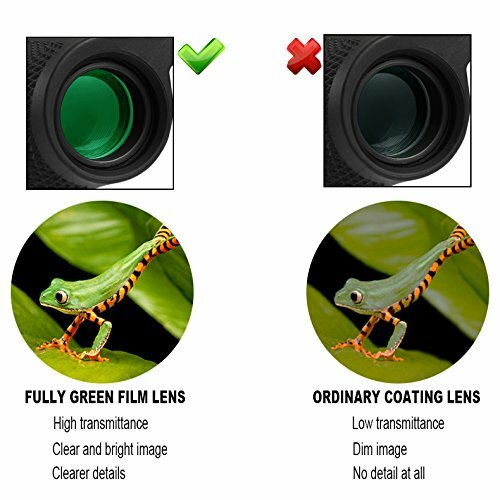 EASY TO FOCUS - Rapid focusing with the center-focus wheel. 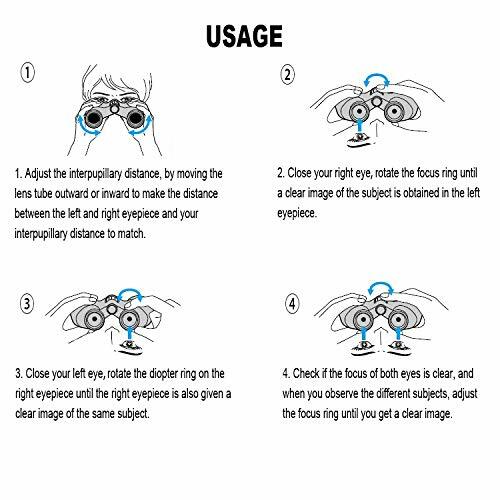 Get a clear view by adjusting the eyecups. 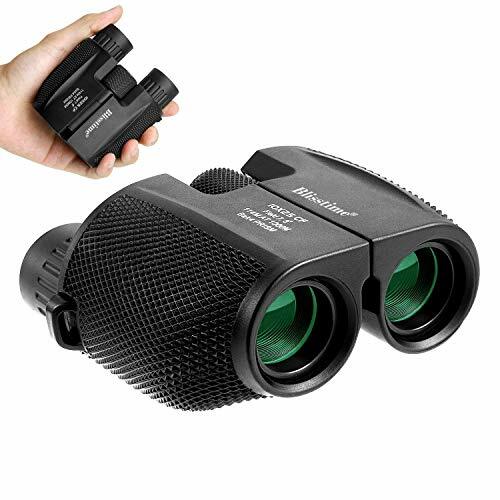 Can be used for both day and night, low-light-level night vision, but can't see anything in complete darkness. 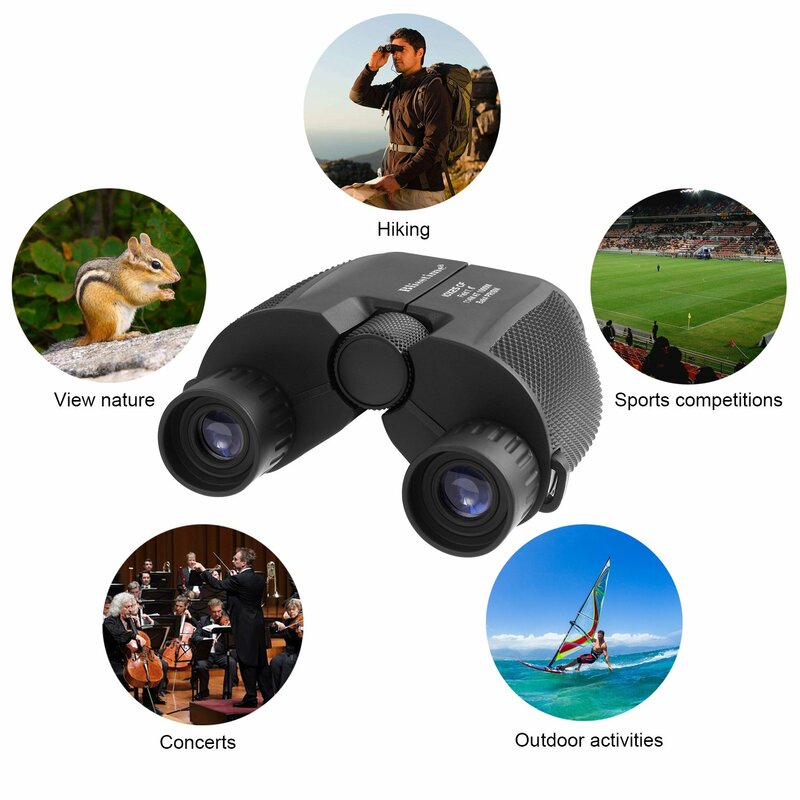 5.WIDE APPLICATION - Suitable for outdoor activities, backpacking, hiking, climbing, viewing, sailing, birding watching, concert, ect. 3. To remove any remaining dirt or smudges. Add one or two drops of isopropyl alcohol to the cloth. 1. Can be used for both day and night, low-light-level night vision, but can't see anything in complete darkness. 2. 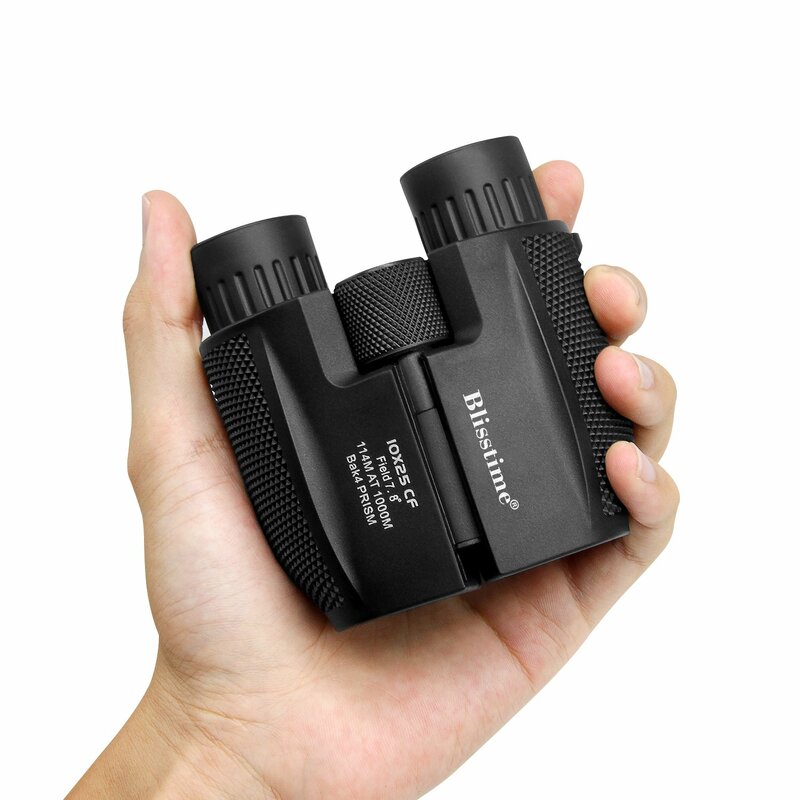 Never attempt to clean your binocular internally or try to take it apart. 3. Viewing the sun can cause permanent eye damage. 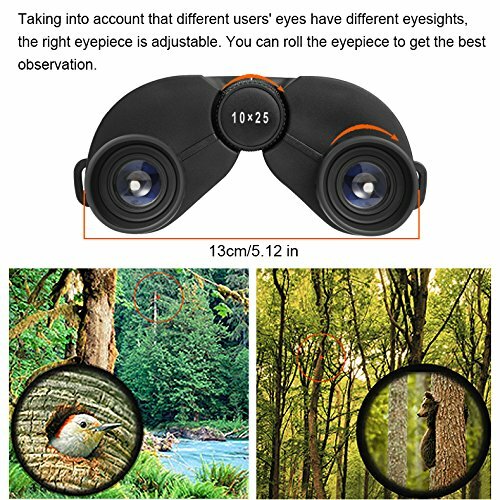 Do not view the sun with this product.